Provides nerve stimulation and muscle rehabilitation for: back pain, neck pain, hand pain, knee pain, sciatic pain, general nerve pain, shoulder pain, ankle pain, wrist pain, chronic pain, foot pain, muscle spasms, post-op pain, and migraine headache. 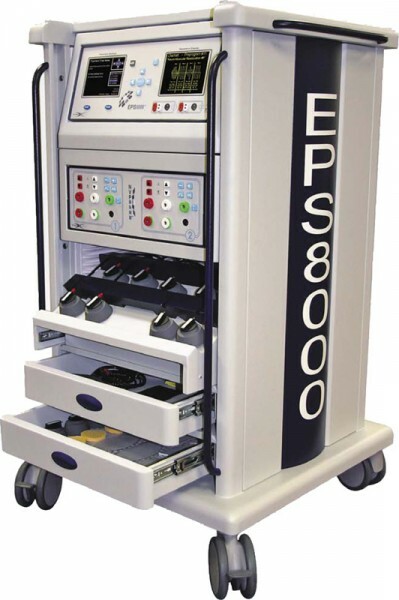 The EPS 8000 is used for the management of symptomatic relief of pain and inflammation. It can increase local blood circulation as well as provide muscle re-education while increasing range of motion. The device stimulates peripheral nerves for the purpose of providing pain relief and stimulates motor nerves for the purpose of muscle rehabilitation. It provides electrical stimulation featuring Direct Digital Synthesis. D.D.S technology is a fully digital method for generating higher resolution, smoother feeling sine waves up to 10,000 Hz. Electric nerve block therapy has been shown to help patients suffering with nerve related pain and can be used for various types of edema reduction. This means that electrical stimulation therapy can alleviate pain and help patients with their rehabilitation process without any potential side effects. Please let us know how we can help by giving us a call at (512) 806-0015 or completing the simple form below we’ll get back to you right away!